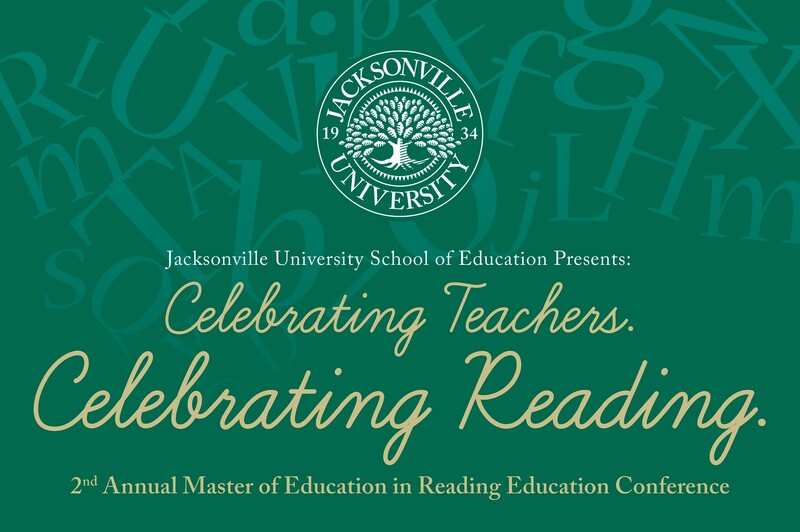 Dr. Tammy Ryan, JU Associate Professor of Reading Education and Director of the University’s M.Ed in Reading Education, said attendees will leave with great ideas and ways to immediately enhance K-12 children’s love for reading. JU’s School of Education has a proud tradition of supporting teachers’ learning goals and professional development, and in partnering in the foundational education of children. 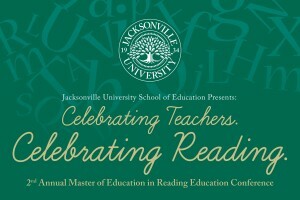 The conference is at Jacksonville University, 2800 University Blvd. N., Jacksonville. For more information and to RSVP, contact Dr. Tammy Ryan at tryan2@ju.edu or (904) 256-7768. Please leave name(s) and affiliation after the phone number.